29er mountain bikes have been all the craze and their travel is getting longer and longer, which means riders can ride more aggressively on them. 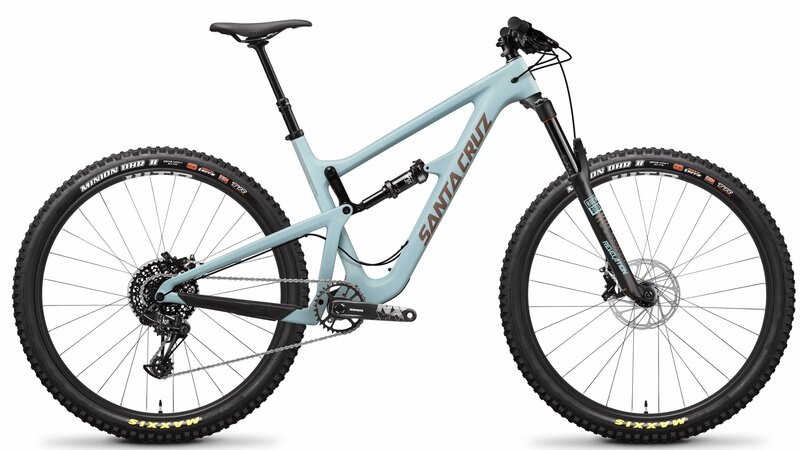 The 2019 Santa Cruz Hightower LT Carbon C R Bike is a carbon framed, long travel, big wheeled enduro bike that can conquer any terrain you put in front of it. It features 150mm of travel on the front and rear that is powered by VPP, or virtual pivot point. The VPP suspension provides the bike with a sharp and responsive feel. The Carbon C frame uses 73mm threaded bottom brackets, has a max tire width of 2.5", has Boost hub spacing, and has ISCG-05 tabs so riders can mount a chainguide or bash guard. The R build of the 2019 Santa Cruz Hightower LT Carbon C bike comes with a SRAM NX Eagle drivetrain. SRAM's Eagle drivetrains all come with a 1x12 set up with an incredible 11-50 tooth gear range that helps riders conquer all the tough inclines. The SRAM Guide T hydraulic disc brakes provide confidence-inspiring stopping power needed for long descents and are paired with 180mm rotors on the front and rear. The RockShox Revelation RC suspension fork and Fox Float Performance DPS rear shock give the bike a supple feel over the small and large bumps. The Hightower comes with WTB ST i29 TCS tubeless ready rims and is paired with Maxxis Minion tires so riders can drop the tire pressure for a smoother ride and better traction. Transitioning from climbing to descending and back to climbing again has never been easier with the Race Face Aeffect dropper post. It allows riders to drop their seat post with ease for safer descending and raise the seat post back up for efficient climbing. 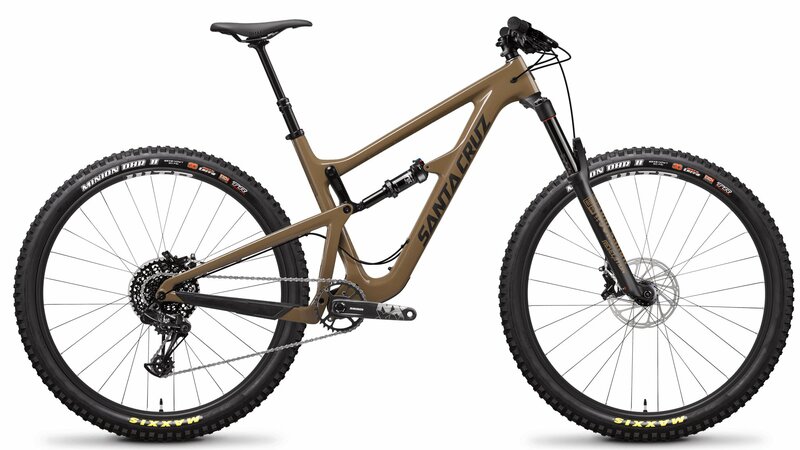 If you're looking for a long travel 29er mountain bike, then you'll love the Santa Cruz Hightower LT C R Bike. What size is the rear shock?